Being a freelancer, it took me almost a decade to find my freelancing super niche where I work majorly these days. Am still open to niche changes. Being a freelancer, it took me almost a decade to find my freelancing super niche where I work majorly these days but I am still open to move to other niches and experiment new technologies. You may have heard the quote “Jack of all trades, master of none”. It is very important to find your niche because it is not about being jack of everything, but it is about being a master at something. I always like to go deep rather than go wide and try to create a super niche within the niche. If you are new to freelancing, don’t be overwhelmed by freelance niche. It took me almost a decade to get to a niche expertise. 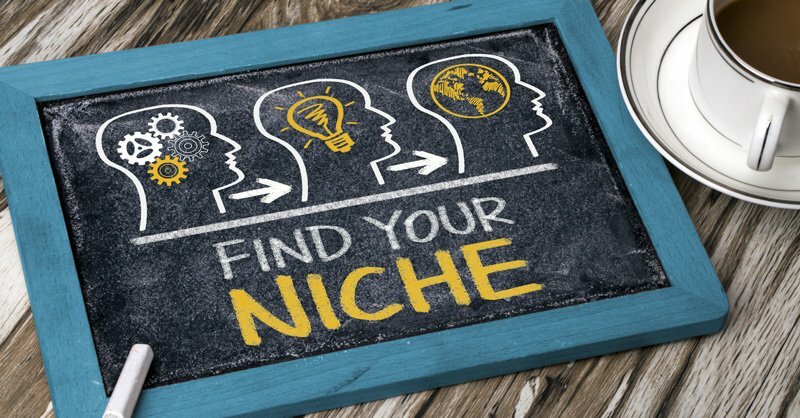 How to Find the Right Freelance Niche? I started freelancing career as a PHP developer. I was trying to find anything and everything in PHP because I thought the more projects I can apply the better chances of me getting them. My first client was a custom PHP project. Slowly I narrowed it down to a super niche like vBulletin and then moved over to Xenforo and now from Xenforo to only Xenforo development and I don’t work on Xenforo design anymore. So the question is the way in which you can find your own super niche and what are the steps you should be following to get to a super niche. Start with as broad as you can and just try to show clients you know and have done similar to what they need. As you move along you will have to work coming from one section of the niche and slowly but surely you can narrow down on the kind of work you take and try to be an expert in the area you have started working. Niche is not something that you start within freelancing but it is what you end up with. At least that is how it worked for me. Understanding your expertise and passion? It is about doing whatever you love. If you are not able to find what you love, start working for someone else for a couple of years to find what you actually want to be doing. Hop over few jobs to try few options. It will expand your worldview and you will have lot more options to choose your passion. When I was in college, I was looking for C++ programming because it is something I loved back then but as a freelancer have not compiled a single C++ program in the last few years. You can read about my job to freelancer’s journey on my about page in detail. Worked in various technologies in all my different jobs helped me realize it is not about C++ but it is about my worldview of knowing very few programming languages back then and among them I liked C++. No one can know what is his passion unless he tries a few of them. If you don’t try, you will select a passion from what you have already worked on as your worldview is very limited. I found myself what I love and more importantly what I don’t love as well. I just cannot design and I just cannot make a pixel perfect design but then it does not mean I didn’t do those stuff because if I would not have done it, I may not realize if I like it or not. At times, we become rigid about our passion but remember you are not married to your passion and so it’s ok to be changing your expertise and passion over time. You aren’t married to your passion. So it’s ok if your passion changes over time. I have moved from C++ to PHP to CMSes like vBulletin, WordPress, Xenforo. I also love marketing aspects of my site like SEO and Social Media to study company’s balance sheets and investing in the equity market and the latest is blogging and writing. Marketing is not something I do for clients and just do consult because you cannot just measure and justify the efforts you put in marketing. Could be because I just don’t know how to measure marketing efforts. I loved the technical analysis aspect of trading but as my portfolio grew over time I tried investing and now I really love evaluating business and companies balance sheets. Start with something that you think you love now and it is perfectly acceptable to move to something else even when you don’t love it. You can always fall in love with what you are doing if things are being done the way you want it. The pleasure is all mine Amit.